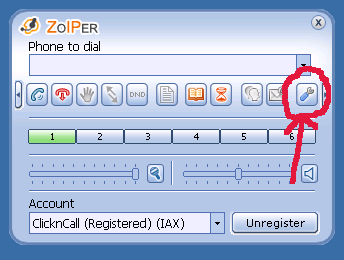 Zoiper is a free SIP/IAX softphone. 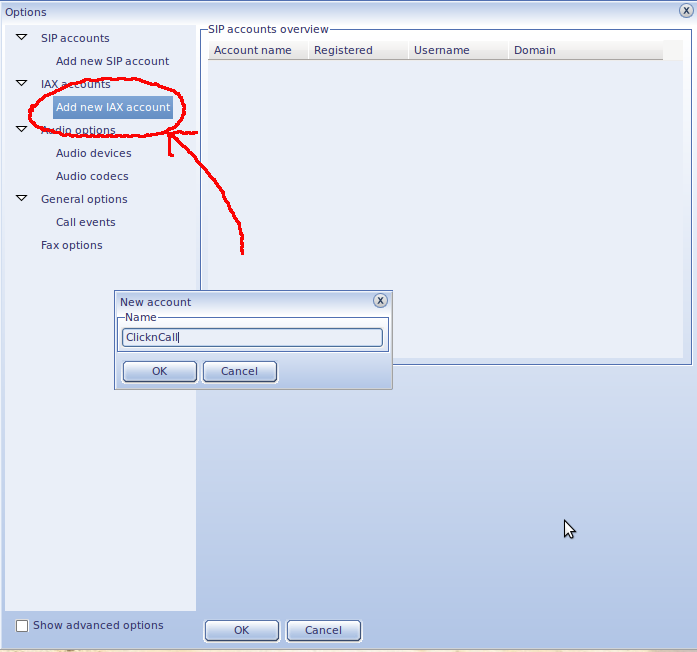 Here is the configuration for Zoiper IAX account. SIP can be set up in a similar way. Zoiper SIP configuration is also available. 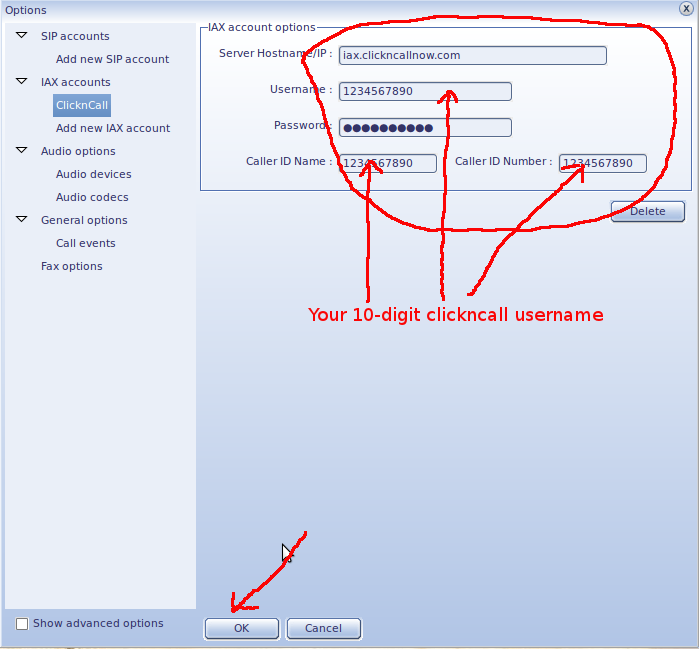 Type in your ClicknCall username and password (Note: Please use the ones contained in your original Welcome email) and click Apply or OK. Please try not to copy/paste the username/password from the welcome email because sometimes an extra space could be introduced when copying/paste thus making the password wrong. Please try typing them in instead.